Mobile offers platform Shopkick, which is working with a number of high profile US retailers to roll out a network of Bluetooth Low Energy (BLE) beacons, has been acquired by SK Planet (SKP), operator of Korea’s largest shopper rewards program and part of the same group as carrier SK Telecom. 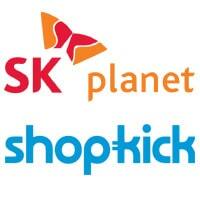 SK Planet’s OKcashbag rewards program has 38m users and processes US$50bn in transactions a year. Shopkick’s ShopBeacon platform has been installed by 3,000 large US stores including all Macy’s department stores and selected outlets of American Eagle Outfitters, Best Buy, Crate and Barrel, JC Penney, Old Navy and Target. Brand owners that have used the platform to deliver offers to consumers include Procter & Gamble, Mondelez, Revlon, Unilever and Pepsi. “Our vision is to build the most beautiful and useful digital user interface on top of the physical shopping world,” adds Cyriac Roeding, CEO and co-founder of Shopkick. “When I first heard Jinwoo speak of SK Planet’s vision, it sounded like we were from the same company – that’s how closely our strategies are aligned. The value of the transaction has not been disclosed but is believed to be around US$200m, “a person familiar with the matter” told The Wall Street Journal.